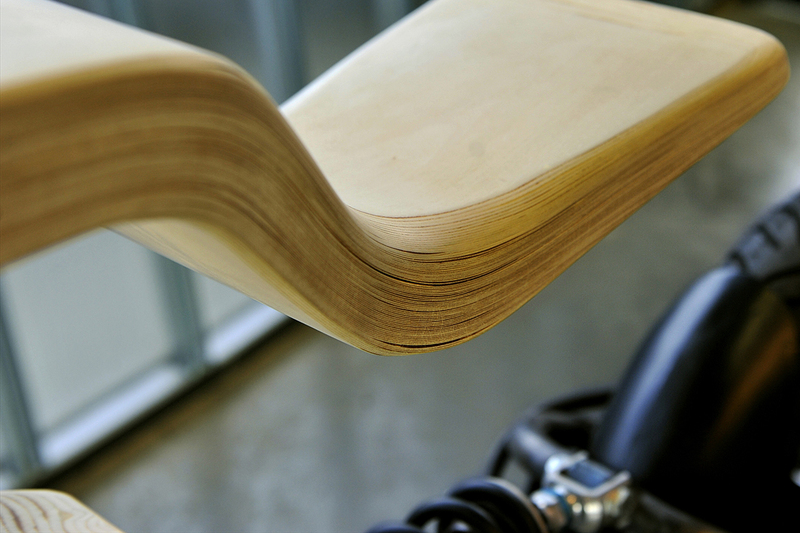 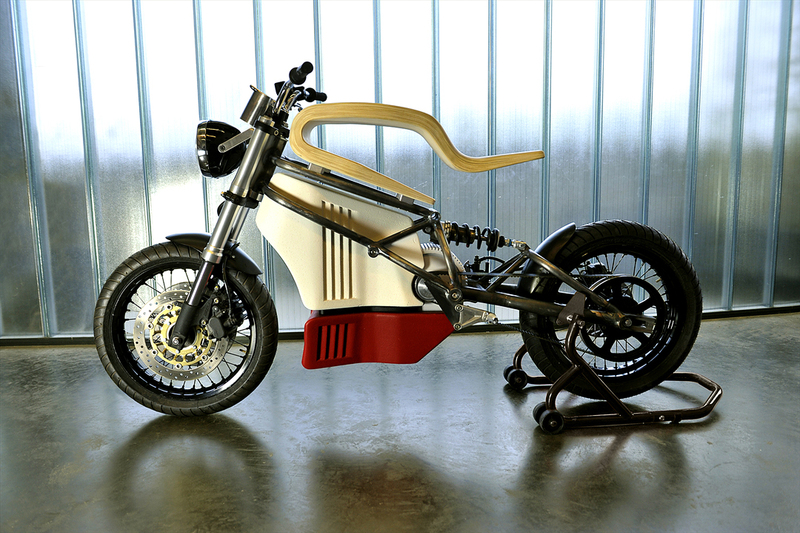 Today we want to show you creative bikeExpemotion E-Raw Motorcycle. 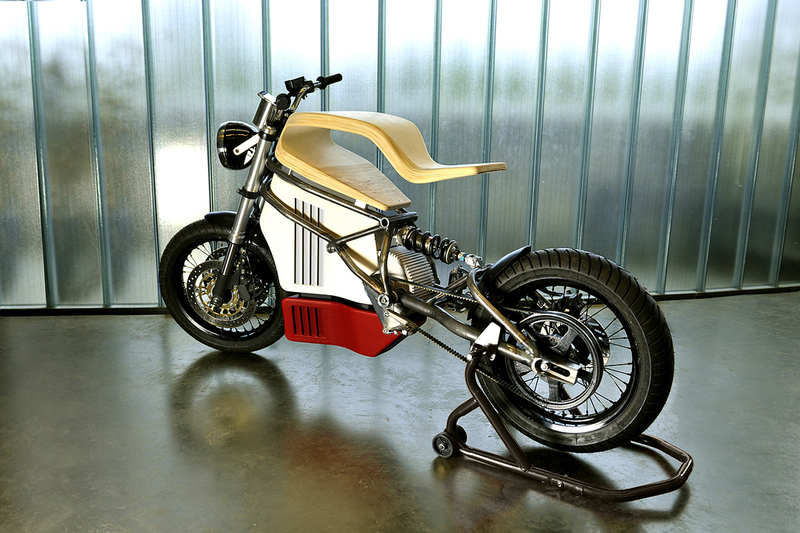 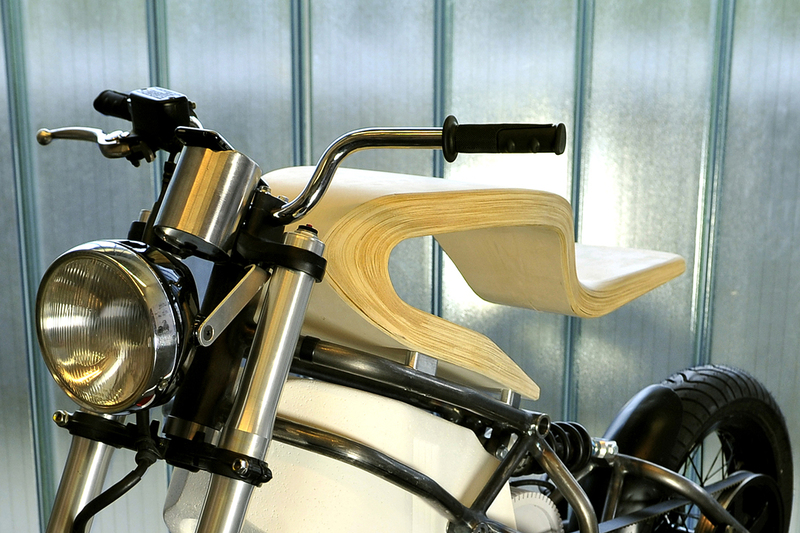 The design is dominated by the seat – made from laminated layers of wood, it provides the look and feel of furniture while replacing the gas tank with negative space – and the large, colorful motor covers, both of which are set on a simple steel tube chassis that leaves the more striking components in the spotlight. 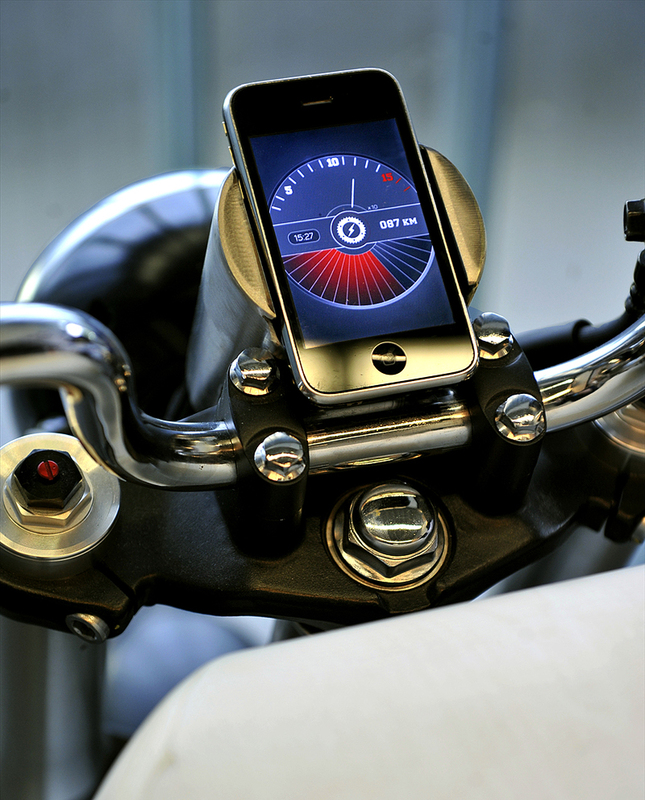 A central mount allows your phone to serve as the speedometer and battery gauge, yet another forward-thinking feature in what’s sadly still just a concept. 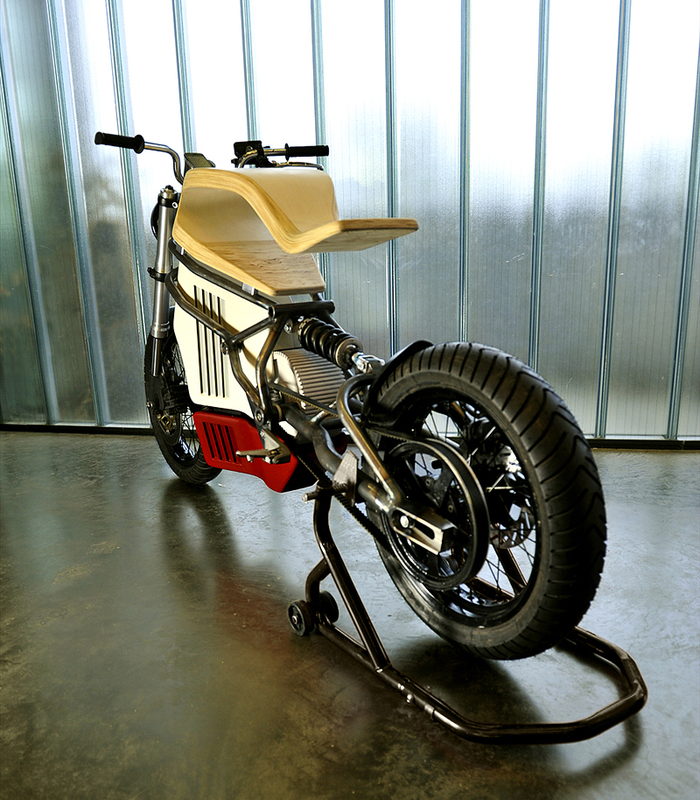 If you want you can check real bikes in our lists of the fastest bikes in the world.